Johannesburg, Gauteng – 16 January 2019– First Distribution, South Africa's leading distributor for cyber security, datacentre, enterprise and cloud solutions, today announced its partnership with Forcepoint. With this partnership, customers will now have greater access to Forcepoint’s comprehensive range of cyber security solutions including Web, Mail, DLP, NGFW and CASB. “It is First Distribution’s strategy to represent leading global brands across Africa, these territories include the Indian Ocean Islands, SADC, East and West Africa. 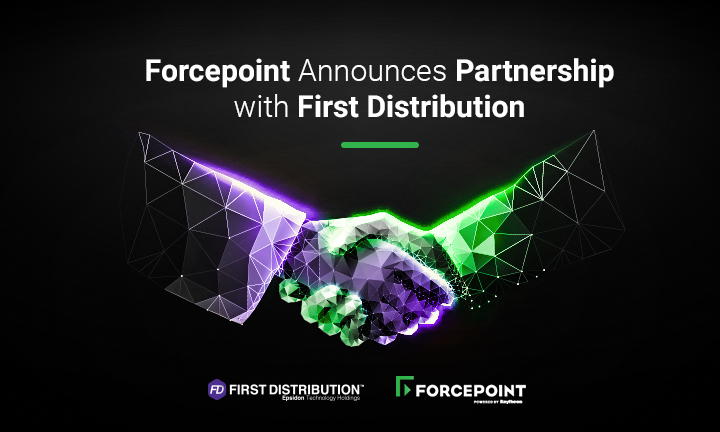 We are excited to have Forcepoint in our stable, and we look forward to working with them in the distribution of their security portfolio,” says Brad Stein, General Manager for Networking and Security - First Distribution JHB. Forcepoint takes a human-centric approach to cybersecurity and aims to transform the digital enterprise by continuously adapting security response to the dynamic risk posed by individual users and machines.